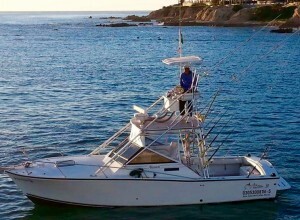 Welcome to Cabo San Lucas Sportfishing, Cabo San Lucas fishing Charters specialist. 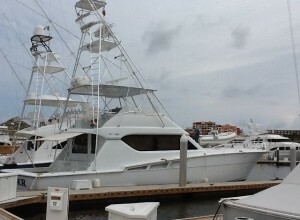 "NO boat rides, unless you want one"
Easy Online Reservations, just click and go fishing. 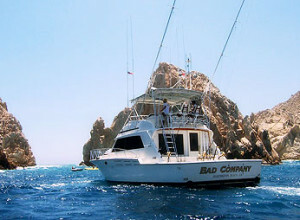 Voted " Top Cabo fishing Charters Company" 5 years Straight fish with the best. We even have restaurants that work with us to prepare your catch of the day to entice all culinary levels and fishing experiences. 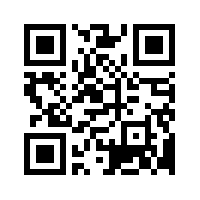 You catch it we cook it experts. 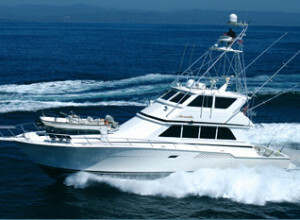 We pride ourselves in being "Top fishing charter company" 5 years straight and always deliver a great fishing charter ever time. 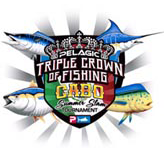 All our Crews are Top tournament winners, you will fish with the Best every time. 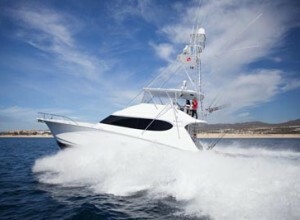 Our Slogan is "NO boat rides unless you really want one" Most charter companies offer expensive boat rides, but with Cabo San Lucas Sport fishing we go out of our way to get you to the fishing grounds every time. 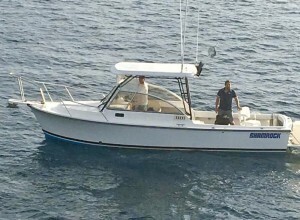 Combining expertise and 20 years of experience to provide you the opportunity of a lifetime to catch a giant Marlin or Tuna of the sea. 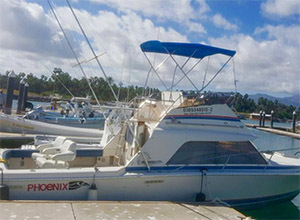 All equipment and accessories necessary for a perfect fishing experience are available on every vessel for your convenience. 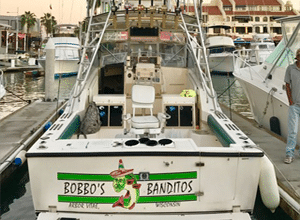 Cabo San Lucas sport fishing gives all levels of fishermen the chance to fish the greatest waters in the world of sport fishing. 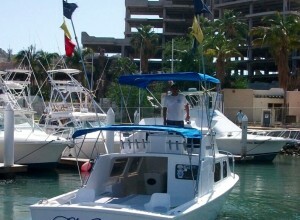 Our crews are hand-picked and individually selected to provide the utmost fishing expertise the loca water have to offer. 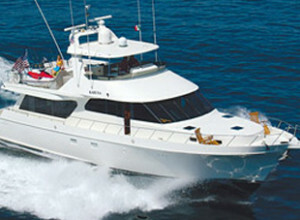 Voted "Top sportfishing charter company 5 years in a row, we pride ourselves in being the Best. 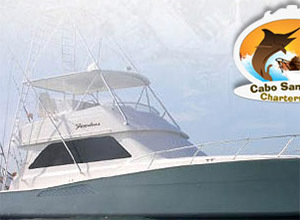 Cabo San Lucas sportfishing is regarded to be the best aquatic activity in Cabo, because the ocean water is full of high quality fish and is also relaxed enough to ensure the best quality of sport fishing in the world. 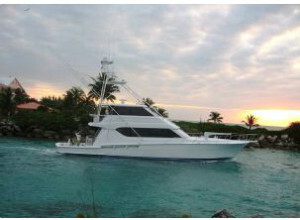 The perspective of the whole area contributes to the experience, especially if you are on a Bad Company sport fishing charter where you can just sit and relish the moment and coastlines. 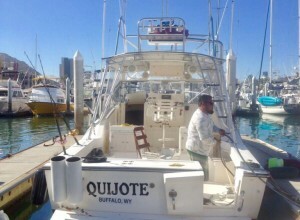 This is even better when going for a early morning sport fishing schedule, where you can appreciate the wonderful sunrise and breathtaking sites and natural beauties that make the Baja. 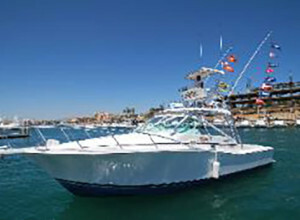 Cabo San Lucas Sports fishing brings you the chance to explore and see aboard your Sports fishing charter like cruising pristine beaches, scuba diving, and deep- sea sports fishing. So, if you love to experience adventure, this is the arena. 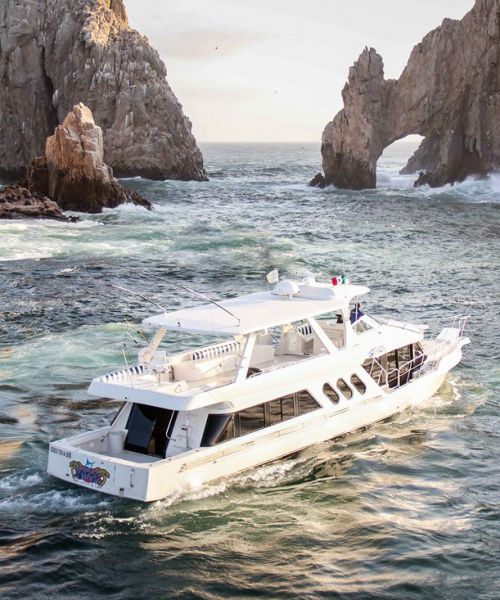 You will be thrilled to be a part of the adventure of a lifetime on your Cabo San Lucas sports fishing charter deep-sea sports fishing expedition. 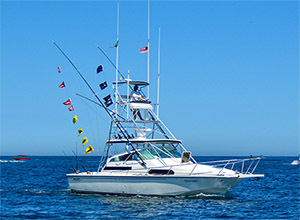 With so many native fish like Yellow Tail, Wahoo, Tuna, Blue, Black and Striped Marlin and more are always close to shore. 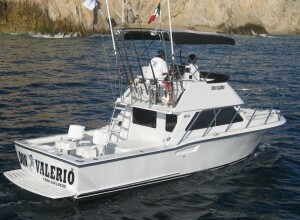 Cabo San Lucas fishing Charters presides as one of the top sport fishing charter company in Cabo San Lucas, Mexico. 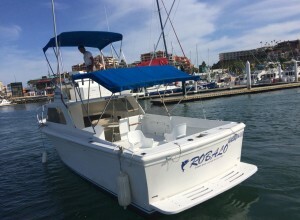 We are presenting you the top boats and Yachts along with their crews to provide the best charter company in los Cabos Sport fishing since 2000. 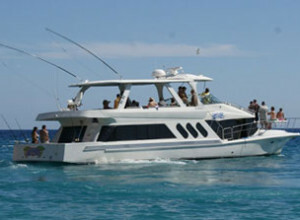 All our boats have been endowed top prizes in the local tournaments to give you a sports fishing charter of a lifetime. 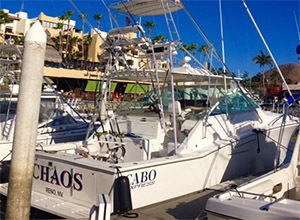 Cabo San Lucas charters.com has a brand name in the field of boat and Yacht charter service in all of Cabo San Lucas; we pride ourselves in offering the top tournament winning yachts in the Pacific. What fisherman hasn't wished for to grab hold of a really huge creature? 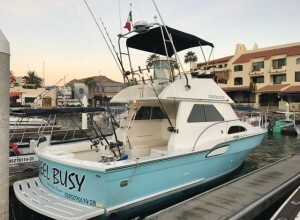 There you are relaxing in the chair of a Cabo San Lucas sports fishing charter boat, your lures trailing out behind the boat while you enjoy an icy drink. Suddenly, your fishing line starts to sing out! And you reach for the pole and Bamm!!!! you set the hook, and the hunt begins! The fight of a lifetime.... After a long battle and exhaustion between the water creature and man, you smile as you pose with your trophy catch. 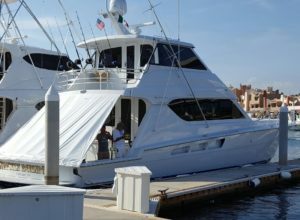 The aqua green waters around Cabo San Lucas and Los Cabos are world-famous for the size and abundance of trophy Marlin fishing. 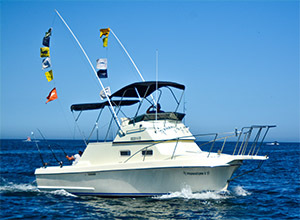 Los Cabos is a hub to the top Marlin tournaments in the World where millions are awarded every year. 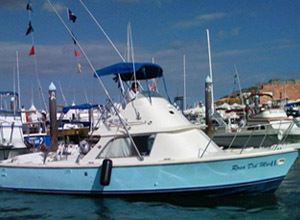 Many world record catches have come from these waters, plied expertly by fishing charters operated by some of the most experienced captains in the business. 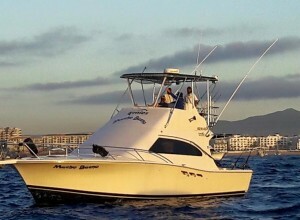 Marlin is the king of all trophy fish, and much more are caught around Cabo San Lucas year round than any other place in the world. 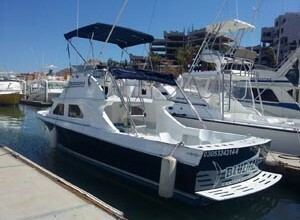 Cabo San Lucas Sportfishing Charters has been enthroned as the top sport fishing charter service in Baja. 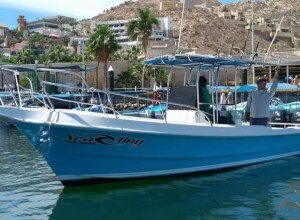 With so many fish to be found around the coast of Cabo, you will definitely like to make a deep sea fishing a part of every vacation. 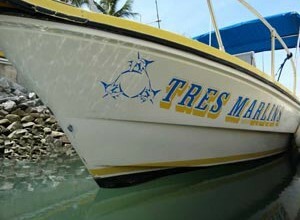 It will prove to be an unforgettable memory for you and your family..and who doesn't love a "fish story". 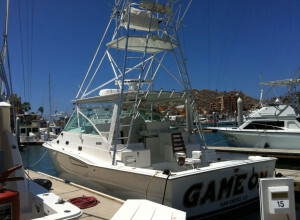 CREATE ONE....Schedule your fishing trip in Cabo San Lucas fishing Charters TODAY!!! !